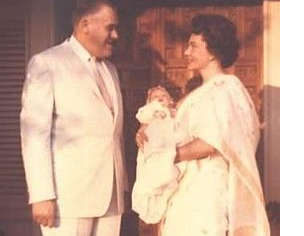 March 8, 1994 -- Elizabeth Clare Prophet, spiritual leader of the Church Universal and Triumphant, is pregnant. Prophet, who will be 55 on April 8, has four children from 22 to 29 years old. The baby is due in midsummer, church spokesman Murray Steinman said. Prophet was married once before but this will be the first child with her fourth husband, Edward Francis, who is 43 years old. He and Prophet have been married for 13 years. -- We are bombarded by images of blissful older mothers, such as Madonna and Celine Dion. But 'Hollywood' articles about pregnancy and fertility at middle age gloss over the tremendous amount of financial, emotional, and physical effort faced by couples struggling to conceive. Ranges from technical to humorous and everything in between. What are good, snappy comebacks to the question, 'Why aren't you pregnant?' What is the difference between gonadotrophin releasing hormone and progesterone? Should you freeze your eggs? These questions and many more are answered, and in the tone of a couple of good friends. Between them, the authors have gone through hormone treatments, pregnancy losses and multiple inseminations -- so they know firsthand the rollercoaster ride of trying to achieve pregnancy.